The Num Nom lip gloss truck is so cool! 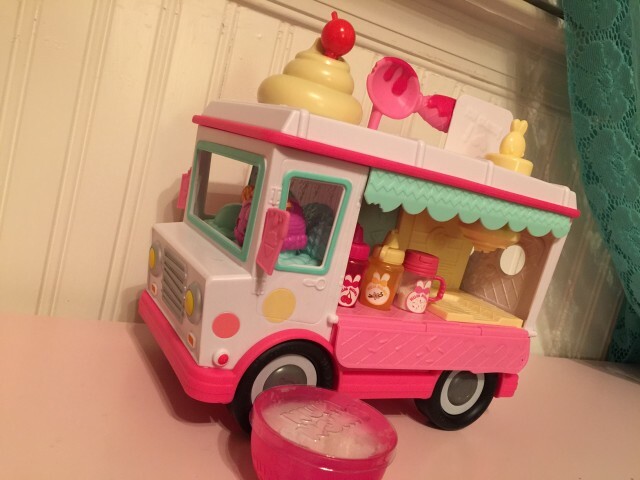 It’s a super cute ice cream truck with the all ingredients you need to make your own lip gloss. But not only can you make normal lip gloss, you can make lip gloss that’s sparkly and flavored!! Once you mix the ingredients together, you can put them in this built-in lip gloss dispenser and push down on the nozzle to make the lipstick come out. Finally, the truck comes with 3 num nom lip gloss containers! This is super easy and fun to do, and everything you need comes with the truck. It’s so awesome!!!! Wet Head is a game where you put a hat on your head and depending on what sticks your partner pulls out, water will drip onto your head. It’s sooo fun!! I think EVERYBODY will love this game in the summer!! Thanks Wet Head for sending me this sample!